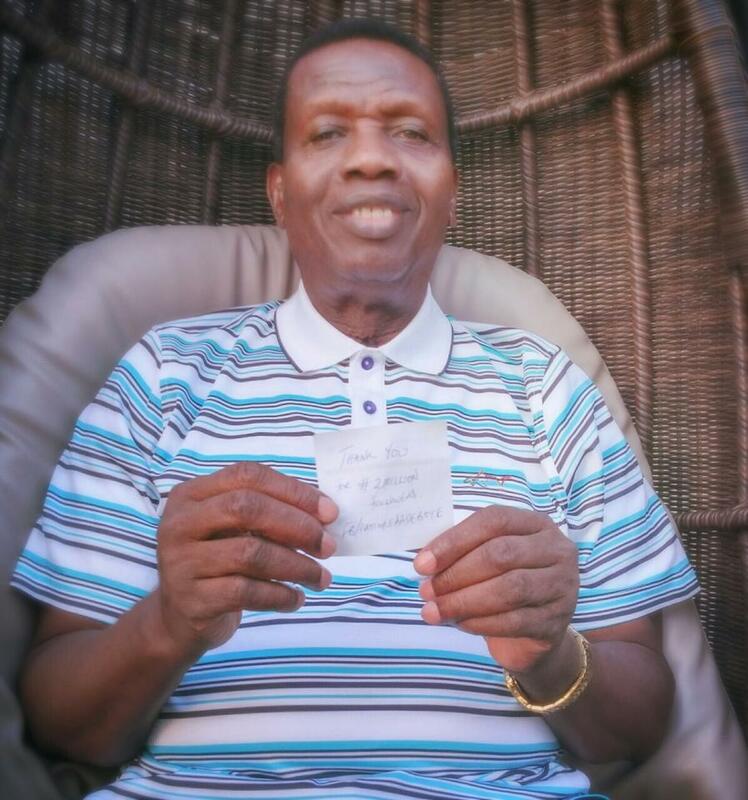 General Overseer of the Redeemed Christian Church Pastor E. A Adeboye hit his Facebook page with a picture that captured him bearing a ‘thank you’ note to his Facebook followers haven reached the total of over 2 million. “Thank you for #2million friends”, the note reads. Pastor Adeboye seems to be the personality with the highest number of Facebook fans in Nigeria.